This year was our team's 6th year of hosting the FLL Camp in our district. The camp consisted of 8 teams with 58 middle school students overall. 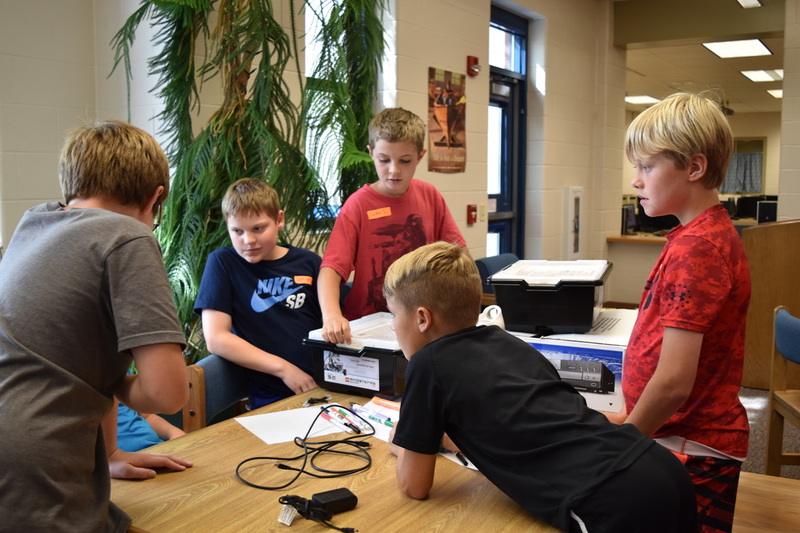 Each year we host this camp to teach students; that are interested in learning more about robotics, and returning FLL team members; about FLL in categories; such as programming, building a robot capable of completing tasks on the competition field, and team work. This year we focused a lot on making sure teams could work together well. We set up multiple tasks for them to complete as a team in hopes they would learn how to communicate efficiently. As we observed their actions we noted things that they could improve upon and how to do so. Since the FLL challenge has not been released for the upcoming season, our team creates a mock competition field with multiple levels of difficulty, for the teams to compete with as a practice before the season has begun. Students at this camp enjoy getting to know fellow peers and also learn about FLL, the hardest fun they'll ever have!